Shawn Sabanayagam, Chairman & CEO Today, telecom is no longer an industry that merely facilitates connectivity, but it has transformed into one that fosters data explosion on an exponential scale. Not only do telecom companies use a combination of proprietary, semi-proprietary, and open host server platforms to run their business, but also now frequently offer ‘compute as a service’ to their customers, who demand cost-effective data retention for their heterogeneous environments. 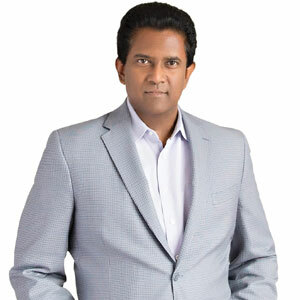 Accordingly, “the sector will increasingly offer ‘data protection as a service’ to their customers who rely on telecom providers as a gateway to disruptive IT technologies, such as the cloud, big data, and IoT,” says Shawn Sabanayagam, Chairman and CEO of Texas-based Tributary Systems, a company that has, over 28 years, assisted multiple telecom companies with its robust data protection solutions and strategies. The company has been a solutions provider to telecom behemoth, Verizon, since its inception in 2000. For telecom, as it is with other core sectors such as healthcare and financial services, the need to backup, replicate, and recover data has been historically imperative and remains a major concern. Over a span of four decades, storage and backup technologies have continued to evolve; one that has traversed all the way from the traditional reel-to-reel tapes, through tape automation with libraries and drives, the disk-based virtual tape, deduplicated disk and ultimately, to breakthrough technologies like object storage. At a time when enterprises are witnessing unprecedented levels of data generation even as strategically, data storage is subject to longer-term investments, the challenge for CIOs is how best to embrace newer technologies and solutions. “We see our customers looking for greater flexibility when it comes to storage products that have a much lower initial purchase price together with reduced operational costs,” says Sabanayagam. “These customers now see features prevalent in new technologies such as we find today in big data cloud infrastructures and this has led to increased vendor focus on Object Storage—housing data within objects that are now available from IBM Cloud Object Storage, Amazon Simple Storage Service (S3) and any other S3 compatible vendor.” Leveraging such less expensive and more advanced technologies such as Object Storage technology provides the capability to accommodate Petabyte-scale data backup and long-term retention. It is for this emerging business need that Tributary has developed focused solutions; Tributary provides a wide array of solutions that pertain to both traditional and modern approach data backup, replication, protection, and recovery across all cloud and legacy platforms. Tributary’s unique offering, Storage Director®, is a virtualized, policy-based, tiered, and software-defined backup/ restore solution. It is designed for high-performance data backup/restore and DR that seamlessly integrates with any existing backup application and media, including tapes, disk drives, and virtual environments. It supports object storage, which has made it even more attractive to customers and vendors. Storage Director, in addition to industry-leading backup/ restore performance, is unique in the marketplace as it provides a single unified backup target for all proprietary and open host server environments including IBM Power Systems, iSeries, Mainframe z/ OS, HP NonStop, HPUX, and OpenVMS. Storage Director can group data into different pools and apply different protection policies such as retention, location, and medium. The company has gained a strategic edge as it expanded its synergistic partnership with IBM. “Combining the connectivity and front-end performance capabilities of Storage Director with the low cost, high scalability, and high-security capabilities of IBM’s Cloud Object Storage (formerly Cleversafe) is where we see the enterprise data backup market going. Data backup and archival in a secure hybrid cloud infrastructure with control, visibility, and fixed cost is key not only for enterprise telecom customers but also the broader market,” says Sabanayagam. Tributary claims to be the only company in the marketplace that can backup all proprietary and open systems from IBM and HPE—mission-critical server platforms widely used in the telecom industry—using a single backup target. In addition to Storage Director’s AES 256-bit encryption, data is also erasure-coded at IBM’s Cloud Object storage tier. One of the company’s clients from the telecom sector had a number of open and proprietary applications and hardware along with data in legacy tapes, which had a retention period of seven years. The client desperately needed a unified approach to backing up their data within a tight budget. They also had fixed backup and DR site replication windows, where every night, data had to be backed up in their primary data center and replicated to their DR site. With Storage Director’s data ingestion methodology called Infinicache®, along with built-in latency management and WAN optimization algorithms, Storage Director was able to achieve data replication well within the required 14-day PoC and as for the client’s need to protect their legacy tapes, Storage Director’s tape connectivity feature allowed the client to maintain their existing tape infrastructure, eliminating the need for a costly media migration.